Indulge and hydrate your skin with our rich, luxurious whipped body butter. 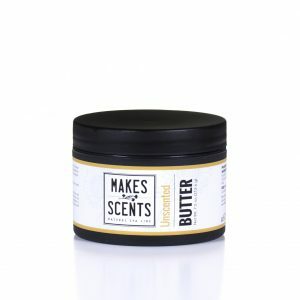 We use organic sunflower seed oil, cocoa butter and coconut oil to form intensive, nourishing body butters that condition, soften, and smooth skin for up to 24 hours. Our whipped body butters are paraben and formaldehyde-free. Like all of our natural body products, they are 100% vegan and certified as cruelty free by the Leaping Bunny Program. Browse our selection of signature body butters and order today! Spa professionals, ask us about custom-formulating a private label spa product line to enhance your spa guest experience. For professional spa product pricing, contact us by phone at 717-824-3094 or by email at Info@MakesScentsSpaLine.com. Rescue your dry skin with this soothing blend of organic sunflower seed oil, coconut oil, and raw cocoa butter. As your skin absorbs the emollient and free-radical-fighting benefits of Balance Body Butter, let your cares drift away as the subtle scents of lavender and citrus fill your senses. Made with antioxidant-rich, anti-inflammatory essential oils of orange, pink grapefruit, and patchouli, it detoxifies, cleanses, and tones. Protect and nourish your skin with Balance Body Butter. Formaldehyde and paraben-free. Drench your skin in a luxurious, relaxing, and hydrating body butter. Organic sunflower seed oil, coconut oil, and cocoa butter, along with pure lavender essential oil, together form an intensive, nourishing body moisturizer which conditions, softens and smoothes the skin for up to 24 hours. Hydrate and soften the skin while relaxing the senses with Be Calm Lavender Body Butter. Formaldehyde and paraben-free. Being a manly man can be tough on your skin. 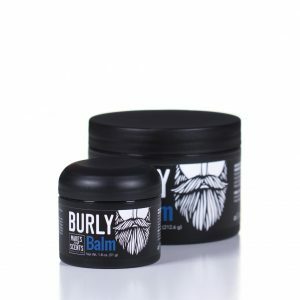 You fix everything else; so step up and do right by your bod with Burly Balm. 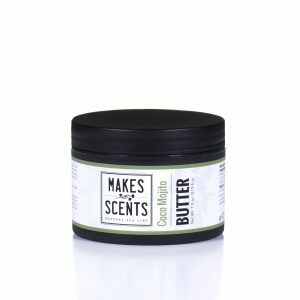 Made with coconut oil and cocoa butter, it restores moisture and soothes weathered and worn skin. It also helps ease muscular aches and pains with oils of cedarwood and peppermint, while antimicrobial, antifungal tea tree oil unleashes its antioxidant powers. By the way, it smells nice, too. Man up and treat your skin right with this rich, nourishing body balm. Formaldehyde and paraben-free. Evoking thoughts of cozying up with a warm cup of chai on a cool evening, this spiced, chai-inspired, body butter is formulated with organic sunflower seed oil, coconut oil, and cocoa butter, blended into an intensive, nourishing body moisturizer. It conditions, softens, and smoothes skin for up to 24 hours. With cinnamon, clove, eucalyptus, lemon, and rosemary, it increases microcirculation, fights free-radicals, and stimulates cell renewal. Formaldehyde and paraben-free. This decadent, ultra-chocolatey whipped body butter moisturizes, conditions, and smoothes skin for up to 24 hours. 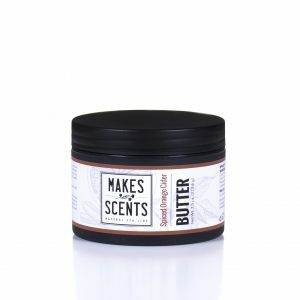 Made with pure, unrefined virgin cocoa butter, Chocolate Decadence Body Butter softens skin while it helps to restore moisture, leaving soft, radiant, and cocoa butter-kissed skin. Formaldehyde and paraben-free. Our mouth-watering, zesty Citrus Grove Body Butter hydrates and soothes the skin while uplifting the senses. Made with antioxidant-rich, anti-inflammatory essential oils of pink grapefruit, lemon, lime, and orange, it detoxifies, cleanses, and tones. Protect and nourish your skin with Citrus Grove Body Butter. Formaldehyde and paraben-free. Satiate and defend your skin against sun damage and free radicals with this light, yet indulgent blend of aloe vera, organic sunflower seed oil, coconut oil, and cocoa butter. Clarify Body Butter stimulates cell renewal and improves circulation with rosemary oil. With the antiseptic and anti-inflammatory properties of spearmint and white thyme oil, it also heals and revives skin. Soothe and protect dull, dry skin with our uplifting Clarify Body Butter. Formaldehyde and paraben-free. Say “Salud” as you indulge your skin in this intoxicatingly luxurious body butter that softens skin for up to 24 hours. Coco Mojito Body Butter blends organic sunflower seed oil, coconut oil, and cocoa butter to provide intensive nourishment and conditioning. Made with naturally fragrant lime and peppermint essential oil, it will awaken your senses as it smooths your skin. Formaldehyde and paraben-free. Tart cranberries and zesty orange blend together for a mouth-watering splash of tangy sweetness in our Cranberry Spice Body Butter. 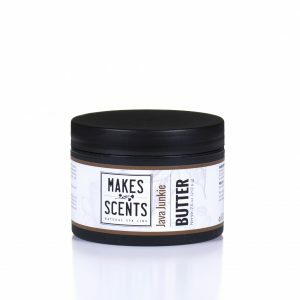 This rich body butter is made with organic sunflower seed oil, coconut oil, and cocoa butter, combined together for form an intensive, nourishing body moisturizer. It conditions, softens, and smoothes skin for up to 24 hours. Formaldehyde and paraben-free. Available October 1 – December 31. Drench dry, dull skin with the sweet, blossom-inspired scents of Garden of Eden Body Butter. This rich, hydrating body butter is infused with lavender, rose geranium, palmarosa, and cedarwood oils along with nourishing organic sunflower oil, coconut oil, and cocoa butter which are blended into an intensive, nourishing body moisturizer. Protect and nourish your skin with Garden of Eden Body Butter. Formaldehyde and paraben-free. Quench your dry skin with this reviving blend of aloe vera, organic sunflower seed oil, coconut oil, and cocoa butter. 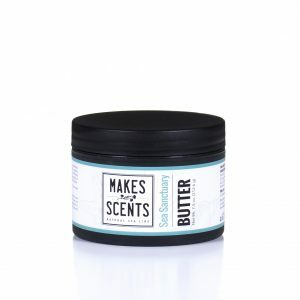 As it adds rich moisture, Invigorate Body Butter fights free radicals and helps protect skin from damaging UV rays. Rosemary oil improves circulation while cajeput essential oil provides antiseptic and antimicrobial properties to improve skin clarity. With lavender and clary sage oils, Invigorate Body Butter not only soothes skin, it also satiates the senses with its energizing, yet calming scent. Formaldehyde and paraben-free. Awaken your senses and hydrate your skin with Java Junkie Body Butter. 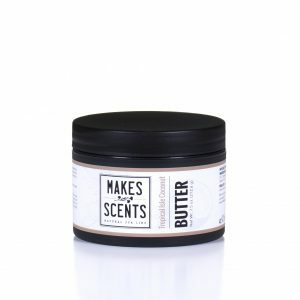 Organic sunflower seed oil, coconut oil and cocoa butter, along with the rich, eye-opening scent of freshly ground coffee beans, are blended together to create an intensive, nourishing body moisturizer. Protect and nourish your skin and awaken your senses with Java Junkie Body Butter. Formaldehyde and paraben-free. Drink in the serenity of this sumptuous Oatmeal & Vanilla Body Butter. 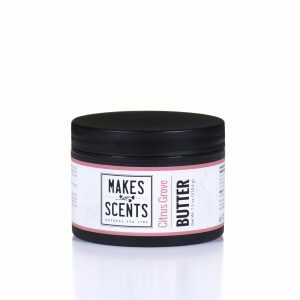 With a blend of organic sunflower seed oil, coconut oil, cocoa butter, and the sweet scents of oatmeal and vanilla, it delivers intensive nourishment to soften and smooth skin for up to 24 hours. Calm and condition your skin with our Oatmeal & Vanilla Body Butter. Formaldehyde and paraben-free. Refreshing peppermint essential oil swirled together with organic sunflower seed oil, coconut oil, and cocoa butter create a perfectly energizing and skin softening body butter. Protect and nourish your skin and stimulate your senses with Peppermint Swirl Body Butter. Formaldehyde and paraben-free. Drench your skin in a rich, luxurious fall-inspired whipped body butter. Organic sunflower seed oil, coconut oil and cocoa butter, together with the alluring scents of pumpkin, cinnamon, ginger, and clove, form an intensive, nourishing body moisturizer which conditions, softens and smoothes the skin for up to 24 hours. Firm, hydrate and heal tired, stressed skin with the Pumpkin Mousse Body Butter. Formaldehyde and paraben-free. Available September 1 – November 30. Bask in thoughts of warm, gentle ocean breezes as you soak in the sea-sational indulgence of this luxurious body butter. 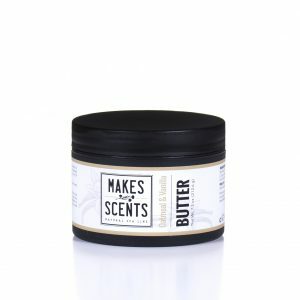 With intensive nourishment from organic sunflower seed oil, coconut oil, and cocoa butter, this body butter drenches and heals rough, dry skin. Nourishing oils soothe, while lemongrass and bergamot essential oil invigorate your senses. Set sail to softer, smoother skin with Sea Sanctuary Body Butter. Formaldehyde and paraben-free. Give your skin an irresistible autumn glow with the seasonally inspired intensive nourishment of our Spiced Orange Cider Body Butter. Infused with organic sunflower seed oil, cocoa butter, and the essential oils of orange, cardamom and cinnamon, this rich body butter hydrates as it detoxifies and fights damaging free radicals. Soothe and protect your skin this fall with this vitamin-rich, naturally fragrant blend. Formaldehyde and paraben-free. Pamper yourself with this enticingly fragrant, exceptionally rich body butter that uses the goodness of strawberries to hydrate and nourish your skin. 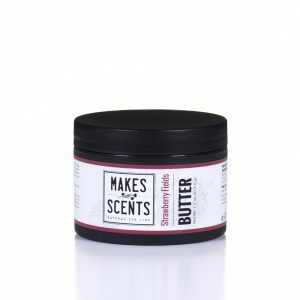 Blending pure organic sunflower seed oil, coconut oil, and cocoa butter, Strawberry Fields Body Butter delivers intensive, nourishing moisture. 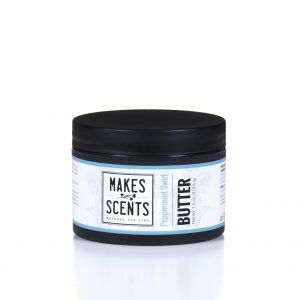 Soak in the sweet, luscious scent as this body butter hydrates, heals, and conditions your skin for up to 24 hours. Formaldehyde and paraben-free. Whisk yourself away to a tropical treatment reminiscent of escaping to an island paradise. Our luxurious whipped Tropical Isle Coconut Body Butter nourishes and hydrates with organic virgin coconut oil and pure coconut cream. It’s the perfect summer treatment for skin that needs conditioning, smoothing, and healing. Formaldehyde and paraben-free. Our intensely soothing, ultra moisturizing, and fragrance-free, Unscented Body Butter will melt into your dry, sensitive skin, for a richly hydrating, non-irritating experience. Protect and nourish sensitive skin with Unscented Body Butter. Fragrance, formaldehyde and paraben-free.